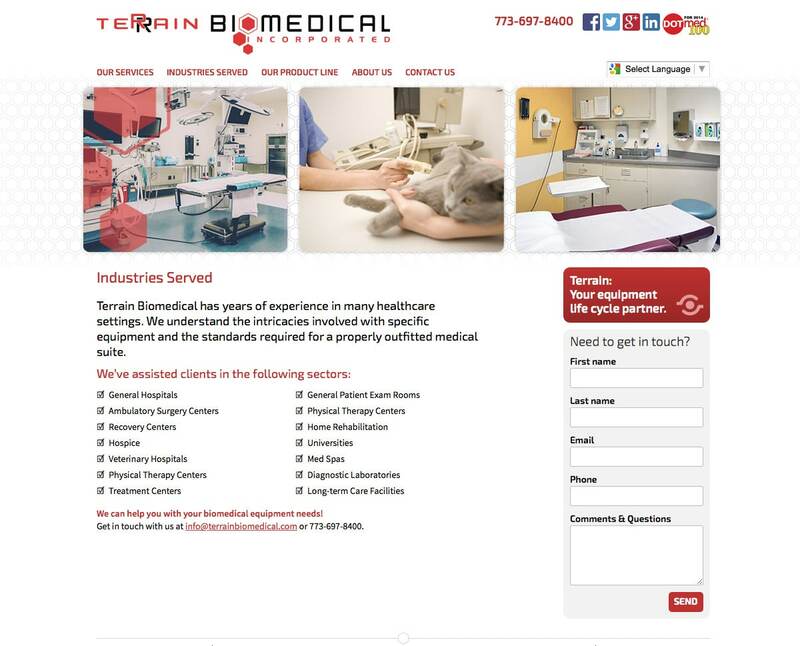 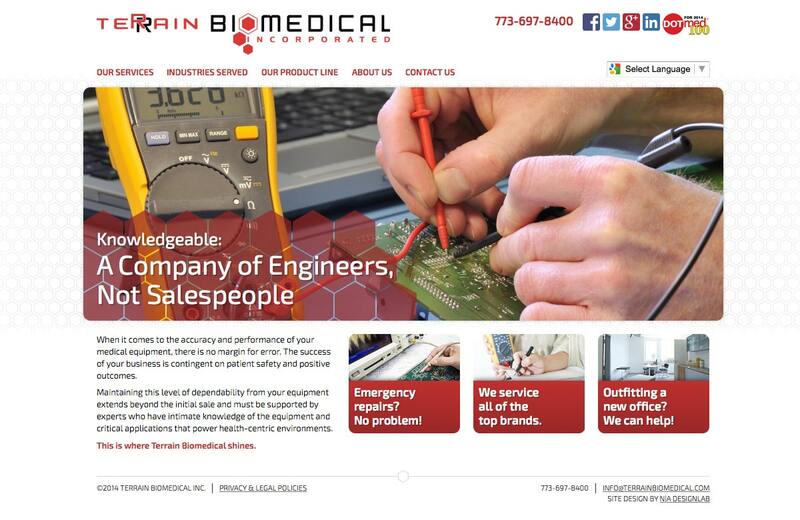 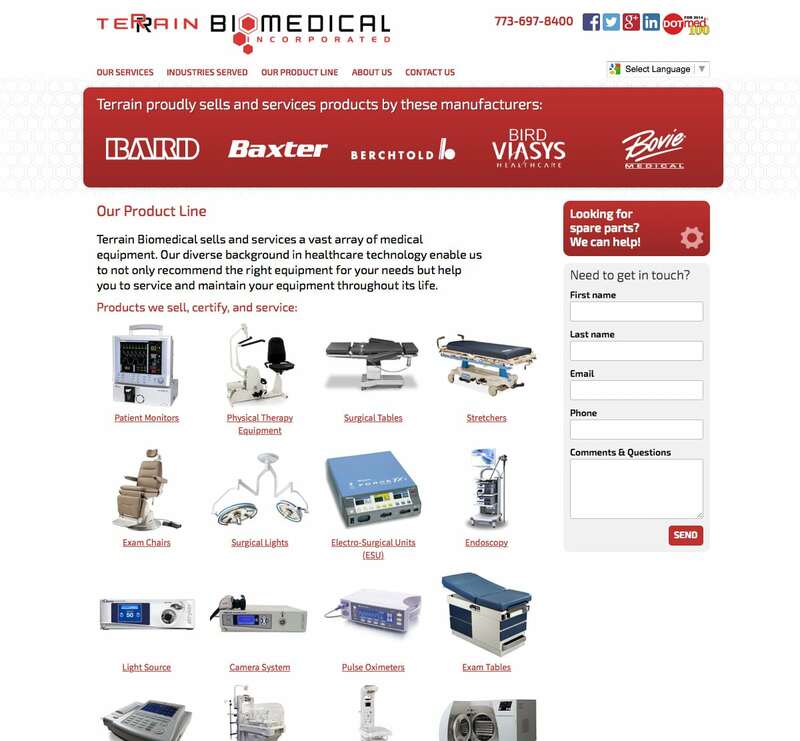 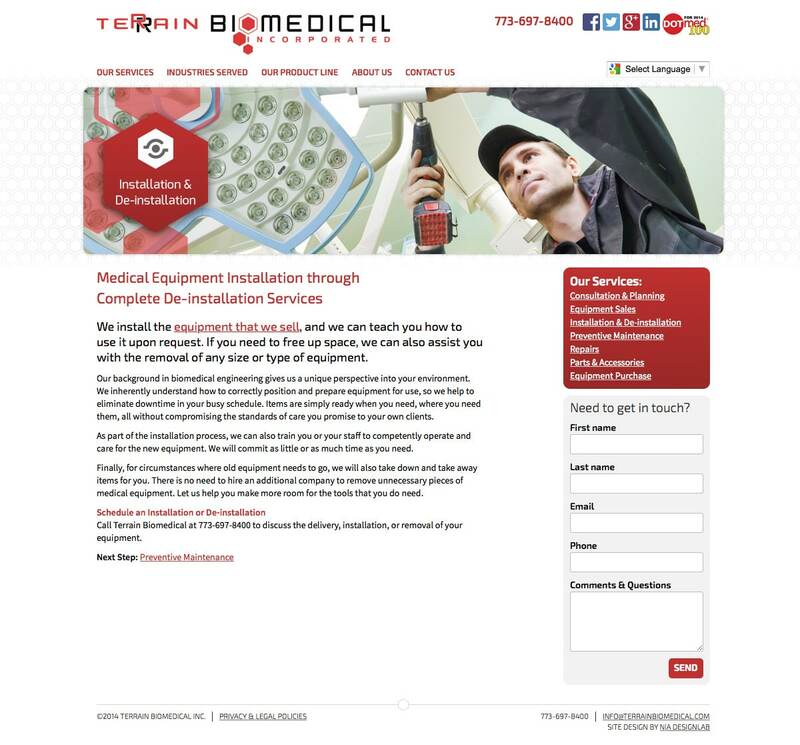 Terrain Biomedical sells and services refurbished, certified medical equipment. 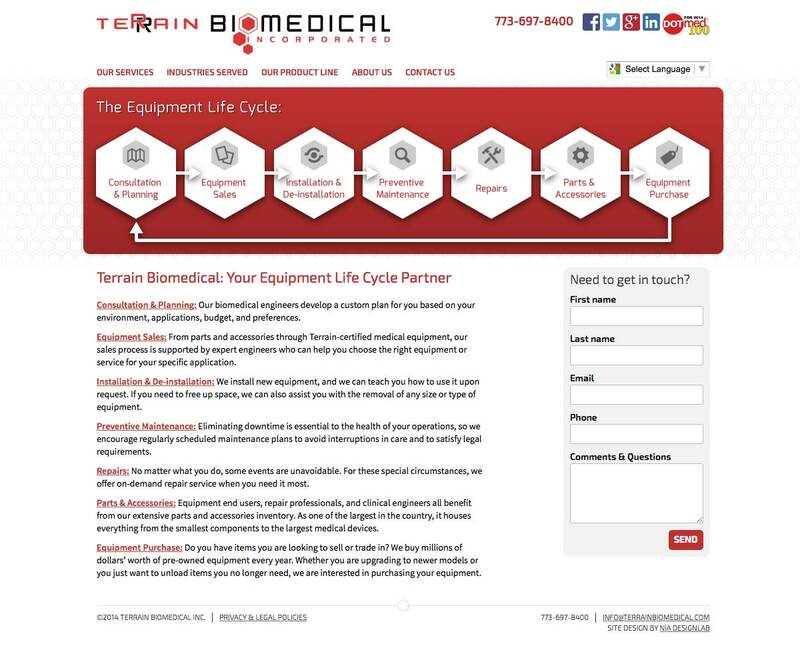 The website centers on the idea of Terrain being an ‘equipment life cycle partner,’ meaning they service their clientele from consultation and equipment purchase, through repairs and preventive maintenance, until the equipment needs to be upgraded or replaced. 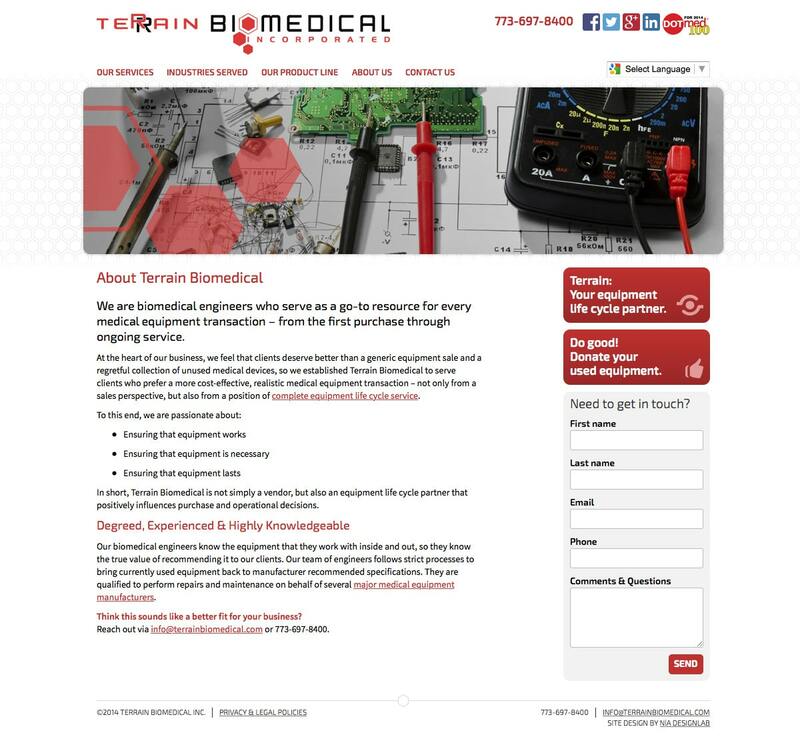 The website not only delivers Terrain’s qualifications, but also directs users to currently available equipment.